Over the past few years, medical scopes contaminated with antibiotic-resistant bacteria have caused hundreds of patients who underwent a specific gastrointestinal procedure to become sick. Now, UCLA physicians have identified factors that increase the likelihood of these infections. In research published in the journal Gastrointestinal Endoscopy, the physicians report that patients face an increased risk of infection from exposure to a contaminated scope if they had a stent placed in the bile duct using a tainted scope, had a history of bile duct cancer, or were hospital inpatients at the time of the procedure. 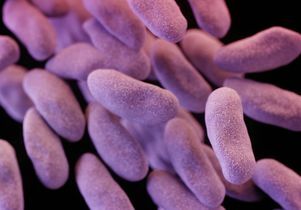 The study was based on data from a 2015 bacterial outbreak at Ronald Reagan UCLA Medical Center that sickened eight patients, three of whom later died. Among its authors were physicians who were directly involved in reporting the outbreak, tracking down its source and halting it. UCLA’s actions helped educate the public about risks posed by contaminated scopes, whose complicated design makes them difficult to clean and implicates them in several outbreaks. The senior author was Dr. Raman Muthusamy, a UCLA clinical professor of digestive diseases and director of endoscopy. A co-author was Dr. Zachary Rubin, UCLA Health’s medical director of clinical epidemiology and infection prevention. At UCLA, a single patient with an active CRE infection had undergone two separate procedures with a different scope each time, and all UCLA patients with CRE infections had subsequently undergone procedures with one of the two reusable scopes, Rubin and his colleagues found. County public health officials and UCLA Health determined that the hospital had followed the manufacturer’s guidelines for cleaning the scopes. UCLA removed the two tainted scopes from use and added a rigorous sterilization regimen for duodenoscopes and certain other scopes. Shortly after UCLA reported its findings of the outbreak, federal regulators issued several safety alerts about duodenoscopes to all U.S. hospitals. The manufacturer ultimately recalled the device after additional outbreaks elsewhere were linked to the device’s design, which includes crevices that can harbor bacteria even if they are cleaned according to federal guidelines. Unlike an endoscope, a duodenoscope has a side-viewing camera and a mechanism that guides devices such as stents from the side — rather than the front — of the scope’s tip. For the Gastrointestinal Endoscopy study, the researchers analyzed data from 104 patients who had been exposed to either of the two tainted scopes and who had submitted rectal swabs for testing. Fifteen of them had acquired CRE — eight who had active infections that required urgent treatment and seven who had acquired CRE but had no symptoms that required medical care. “This patient data provided a unique opportunity to shed light on the clinical risk factors for transmission of CRE bacteria from a contaminated scope — an area that requires more clarity,” Muthusamy said. UCLA researchers analyzed a wide variety of information about the patients, including demographics, detailed medical histories, exposure to antibiotics, number and duration of procedures using a duodenoscope, and techniques used in the procedure, such as removal of bile duct stones or placement of a stent. They also compared patients who had active CRE infections with those who acquired CRE but had no symptoms of the infection. Kim said the findings were not surprising. For example, he said it “makes biologic sense” that a stent inserted into the bile duct via a tainted duodenoscope could provide a place for bacteria to grow, and the finding is consistent with 2014 study of a CRE outbreak in Illinois. Similarly, a bile duct tumor in a cancer patient could cause blockage that fosters bacteria growth, he said. If health care professionals suspect that patients have been exposed to CRE through a contaminated scope, the authors recommended closely monitoring any patient with any one of the three risk factors to help prevent an outbreak. Monitoring should continue for an extended period, they said, because it appears that patients can develop an acute infection for up to three months after exposure. Patients who have the infection but are asymptomatic should be monitored for up to six months. Calling for additional research, the authors noted that the body of research on this topic is relatively limited and the sample size for the UCLA study was small. “Until more definitive processes for duodenoscope cleaning are developed, physicians must rely on enhanced-level disinfection techniques and their clinical judgment regarding specific patients and procedures that may be at increased risk of CRE transmission,” they wrote.